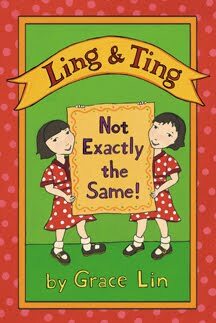 Come celebrate Ling & Ting's book birthday! My very first early reader will be available on June 19th and I'm having a party for it! As usual, I will be reading and signing and giving away cupcake + more loot-filled goodie bags! Come with a friend (or relative) in a MATCHING OUTFIT and get a special-while-they-last-handmade prize!! Feel free to invite others and spread the word! The more the merrier! If you can, please RSVP (to the evite HERE or send me an e-mail at gracelin.manager@gmail.com) so I have an idea of how many goodie bags I should make--but you can always show up last minute, I'll make extras!